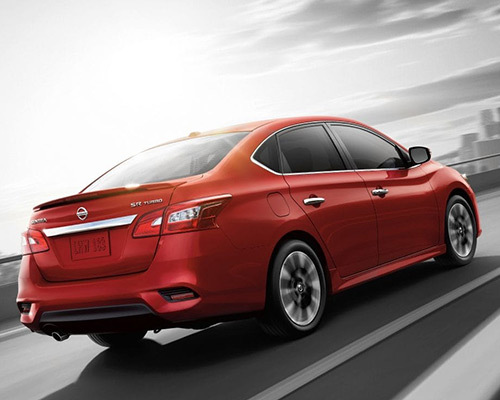 Letting your cares fade away as you take to the open road is a key piece of owning or leasing a Nissan Sentra. Think we are being a little over the top with this proclamation? Then follow along as the Boardman Nissan explains exactly why discerning car buyers in Youngstown are leaving the competition behind and heading straight to a brighter automotive future with the Sentra. Getting behind the wheel of a new Nissan Sentra is all about delighting in its alluring exterior design. With access to a race-influenced profile, domineering rear and front fascias, and countless other performance-focused design cues, this sedan knows how to strike a stunning pose. Aerodynamic contours, a stylish rear spoiler, 17-inch (in.) aluminum-alloy wheels, and so much more are waiting for those who are bold enough to upgrade to the Sentra SR Turbo. Even though the Sentra has made a name for itself by being easy on your wallet at the pump, it also knows a thing or two about opening up the throttle on the open highway. 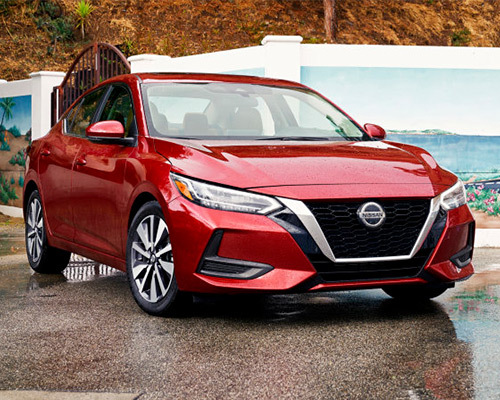 Backing up this statement is a breeze when you factor in the standard Sentra comes equipped with a 1.8-liter (L) engine that will generate 124 horsepower (hp), 125 pound-feet (lb.-ft.) of torque, and 29 miles per gallon (mpg) in metro areas and 37 mpg on the freeway. If living in the fast lane is more you style, then upgrading to the the 1.6-L DIG turbocharged engine, which offers up 188 hp, 177 lb.-ft. of torque, and 27 mpg around the city and 33 mpg on the interstate is perfect for you. Getting behind the wheel of a Nissan Sentra of your own is the perfect way to manage every facet of your daily drive. Designed to get your adrenaline pumping, this car's sport-tuned suspension (including tuned front and rear springs and damper) and Sport Mode, which generates a more responsive throttle and enhanced Xtronic CVT performance, takes your daily drive to the next level, while switching to Eco Mode helps keep your wallet fuller when the time comes to hit the gas pump. Once you put all of this together, it becomes clear the Sentra is a vehicle that knows how to really own the road. Thanks to a bevy of premium features, the Sentra S from Nissan knows how to truly upgrade your time spent in and around Youngstown OH. By incorporating Bluetooth streaming audio, intelligent automatic headlights, a seven-in. touchscreen display, a RearView Monitor, and so much more, the Sentra S is a vehicle designed to keep you comfy for countless miles traveled. If you are one of the Youngstown drivers who simply cannot get enough excitement, now is the time to get to know the Nissan Sentra SR Turbo. From heated front seats and a power-sliding glass moonroof to a jaw-dropping 1.6-L turbocharged engine, it is safe to say this race-inspired car has everything needed to push your daily drive to the next level. 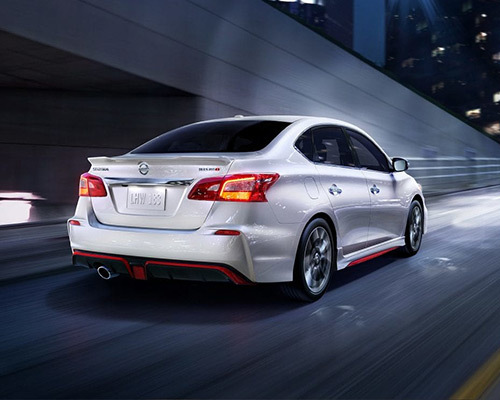 Crafted on the foundation of Nissan's storied history of performance, the Nissan Sentra NISMO is as ready to own interstates as it is to turn laps at the local track. With access to an aerodynamic body kit, a NISMO-branded tachometer, NISMO-tuned suspension and steering, and even custom sport front seats, it goes without saying that every little facet of this sedan is designed with ultimate performance in mind. If making your life more manageable is a big deal to you, then you can't go wrong with owning or leasing a Nissan Sentra. How can we prove this? The Advanced Drive-Assist Display. By tapping into a five-in. display found in the dashboard that keeps you updated with turn-by-turn directions, safety alerts, the Hands-Free Text Messaging Assistant, and plenty of other info, Nissan has ensured that getting through your everday commute is always a low-stress process. If enjoying the soundtrack to your life is high on your list of priorities, then now is a great time to get to know the exclusive optional Bose Premium stereo setup found in the latest Sentra. Regardless of what type of music you prefer, this setup's eight speakers (each individually tuned to enhance your experience) are destined to heighten your senses and brighten your mood. Isn't it time you armed yourself with this kind of high-end sound setting as you take to the roads of Youngstown OH? Need a sedan that also knows a thing or two about carrying tons of cargo? Then the Sentra is the top choice for you and your family. Whether you need to cart around the kids' sports gear or luggage for your next family vacation, the Sentra's 15.1 cubic-feet (cu.-ft.) of storage space, in addition to 74.1 cu.-ft. of cargo area when you drop the 60/40-split back seats down, has exactly what you are looking for in your next automotive purchase. After covering all of this, it is plain to see that the Sentra is the key to truly upgrading your everyday trips around Youngstown. Isn't it time you joined the growing number of happy Sentra drivers all across the country?